New York, NY, WPH Press, 3/26/17- The strongest Race 4 Eight draw of 2017 culminated on Sunday with sensational R48 and WR48 finals and playoffs matches at the famed New York Athletic Club. 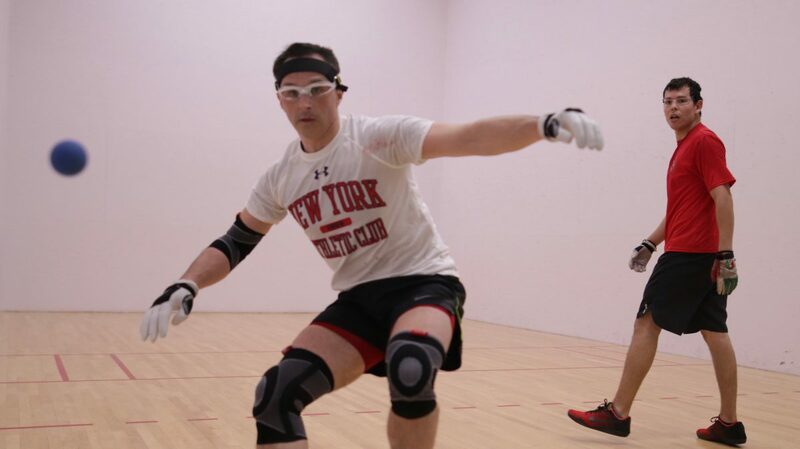 When the dust settled, Killian Carroll, Luis Moreno, and David Fink all ended up tied for the R48 #1 ranking, while Paul Brady and Catriona Casey won for the fourth time in a row at the NYAC. 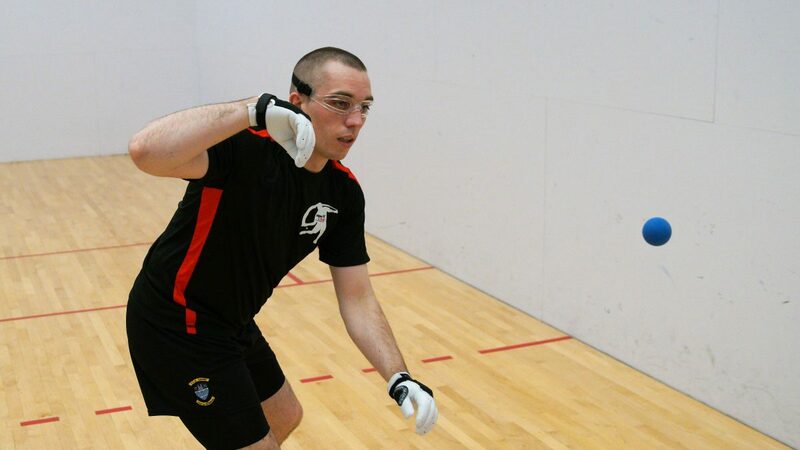 Killian Carroll met Paul Brady for the first time since their epic clash at the 2016 USHA Four Wall Nationals, with Carroll denying Brady his record-tying 11th national title in a match of the century candidate. Carroll had also defeated Brady in their last Race match-up in the semifinals of the R48 6 Player’s Championship. 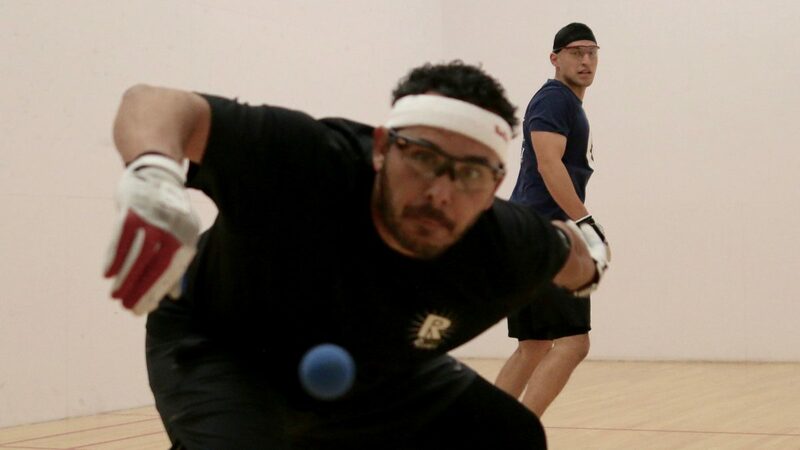 Fink needed one of the Race playoff’s largest comebacks in advancing to the 5th place final, overcoming a 14-23 deficit to defeat Sean Lenning, while Cordova cruised to the 5th place final against a cramping Vic Perez. 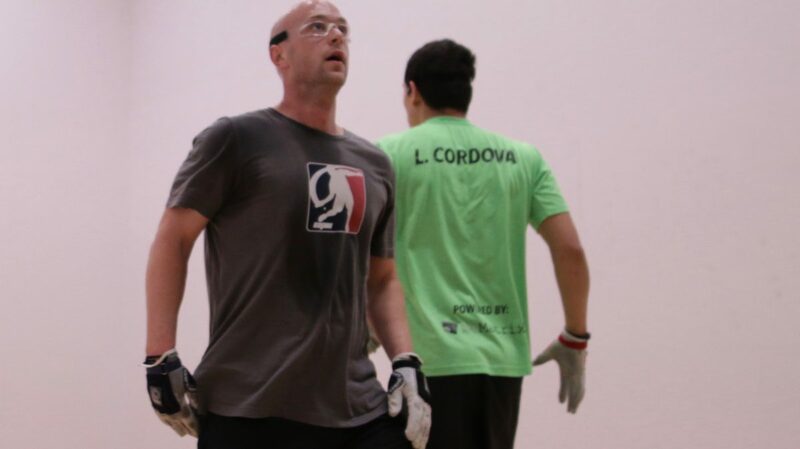 David Fink and Daniel Cordova met for the second straight event, with Fink winning their last match-up in a tiebreaker at the R48 6 Houston. 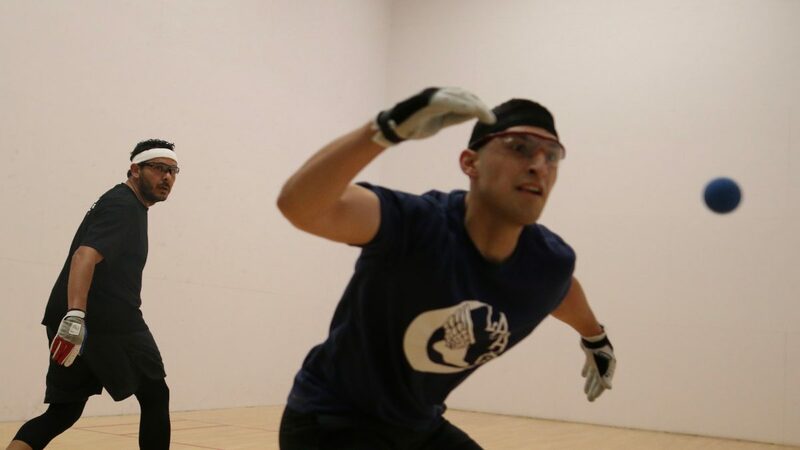 With the #1 ranking in play with a Fink win, Fink played his best match of the event, building a 15-2 halftime lead and holding off a late Cordova charge in the second half to clinch fifth and a chance at the top R48 spot. 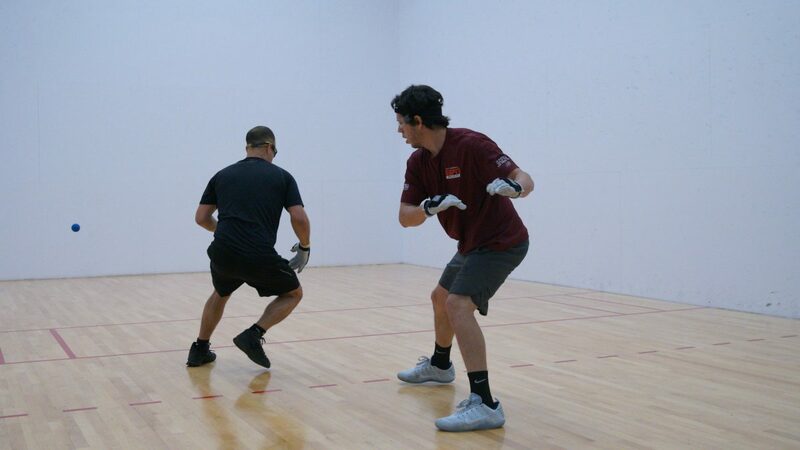 Robbie McCarthy overcame a 3-17 deficit to defeat Emmett Peixoto in overtime in the semifinals of the 9th place playoff, while Iglesias was dominant in defeating Dave Munson and Stephen Cooney en route to the 9th place final. 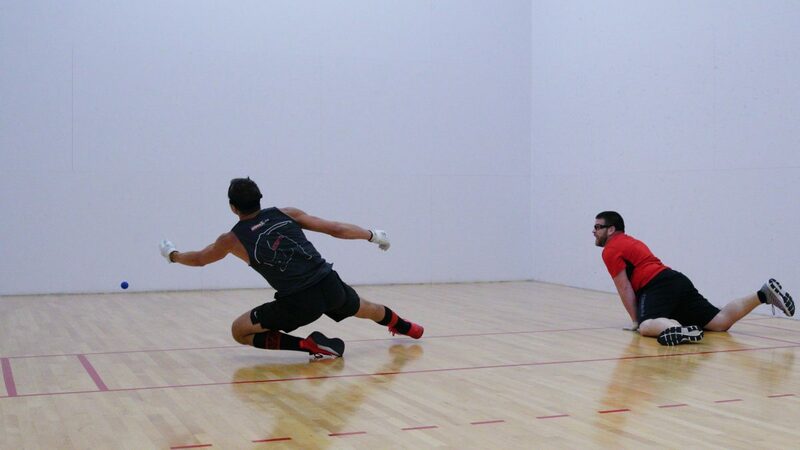 McCarthy and Iglesias battled for nearly 70 minutes in the one-game 9th place final, with McCarthy emerging 25-17. 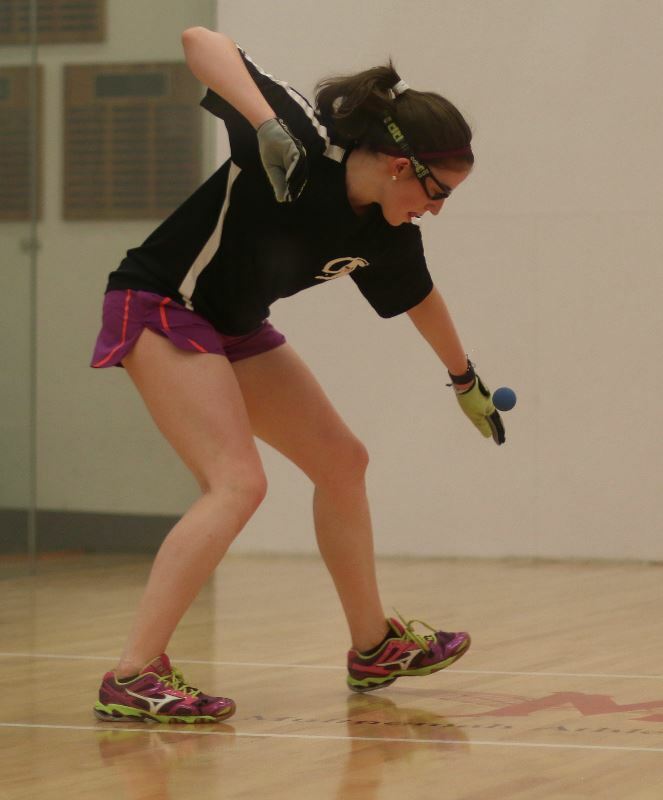 Catriona Casey and Martina McMahon met in a rematch of last year’s WR48 NYAC final, won by Casey. McMahon notched two victories against Casey in the previous six months but was routed in the All Ireland final by Casey just last week. Ciana Ni Churraoin bounced back from her three-game semifinal loss to Catriona Casey by overcoming Georgia’s Aimee Ulbert in an entertaining one-game match. 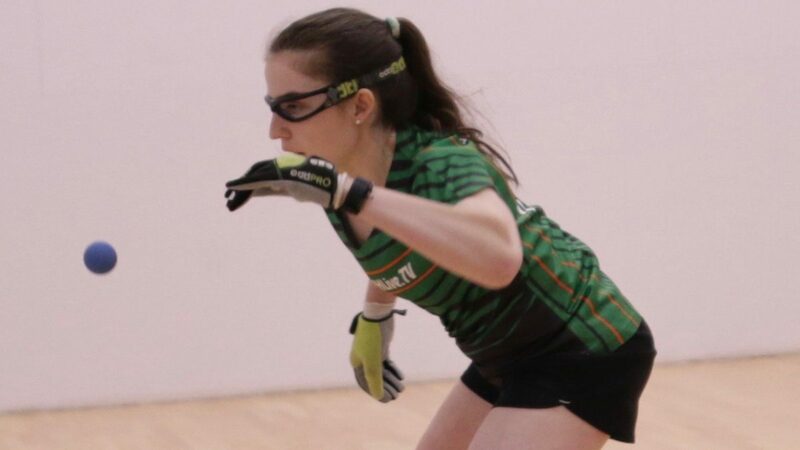 Tracy Davis exacted her revenge on Aoife McCarthy from her loss to McCarthy at the 2016 Simple Green U.S. Open, defeating McCarthy in a close one game final. 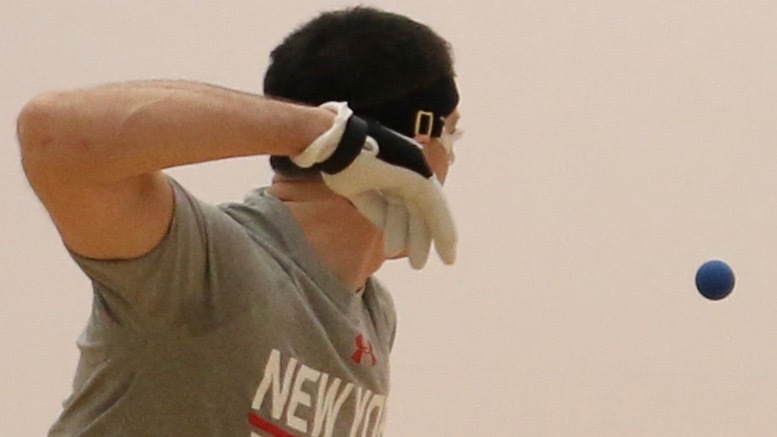 “I played with the lead throughout the match but she kept coming back,” stated Davis. “I finally pulled away to win, 25-22. Thank you to the New York Athletic Club, John Duggan, Tommy S’mario, and the rest of the NYAC Killer’s Club for the incredible hospitality and event. Thank you also to the WPH staff and film crew for bringing all of the action live on ESPN3. 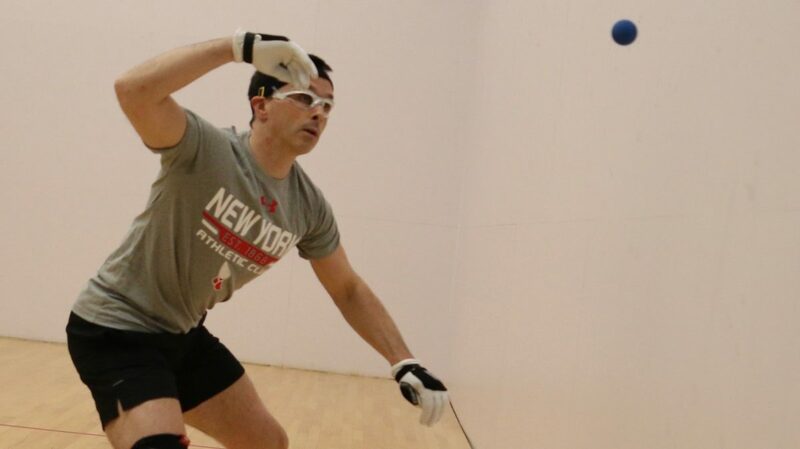 Watch weekend coverage on demand from the NYAC on the ESPN App (here), as the WPH continued its electrifying handball coverage for the third consecutive season on the Worldwide Leader in Sports. EDITOR’S NOTE: In the Boy’s 19U division Sean Kerr (IRE) defeats Alex Carew (IRE) 21-14, 21-12. 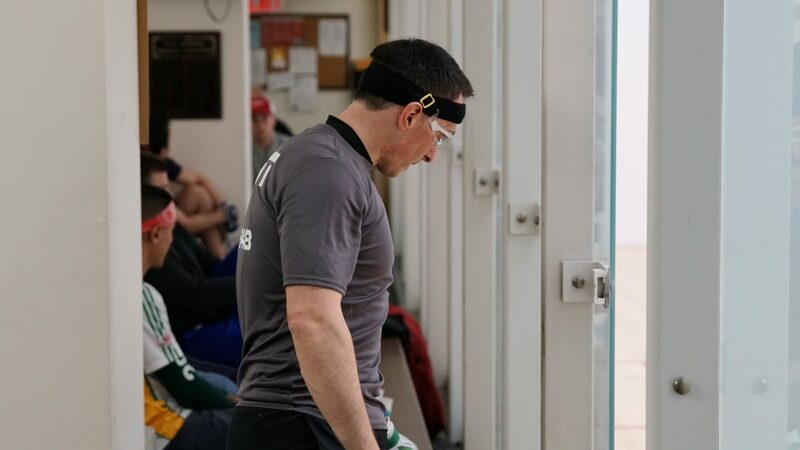 Keeping the trophies in the family, Niall Kerr (IRE) got past Tom Marzilli (CT) 21-20, 21-14 in the 40+ bracket; meanwhile, Robbie McCarthy Sr (IRE) takes down the 50’s singles with a 21-7, 21-10 two game victory over Paul Lonergan (NY). Joe Driscoll (CA) defeated Dan Martin (MA) to win the 70 Singles. 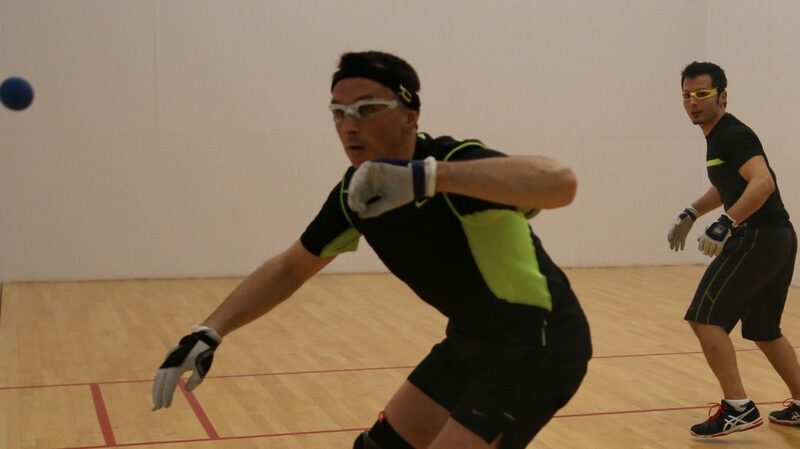 In the 60’s Doubles, George DeGonzague (NY)/ Joe Thomas (PA) def Bob Daly / John Marra (NJ) 21-18, 21-17. New York, NY, WPH Press, 3/25/17- Half of the Race 4 Eight and Women’s Race 4 Eight fields were cut in half on Friday, leaving a number of the game’s greatest stars watching the main draw from the sidelines in the strongest Race 4 Eight draw of 2017. 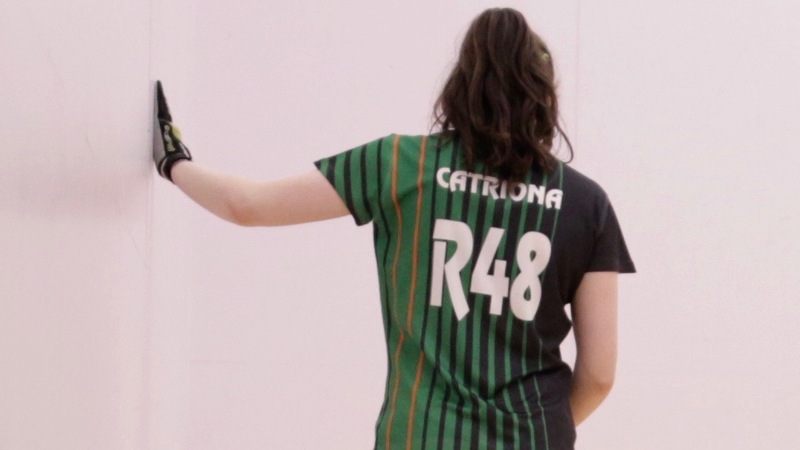 Catriona Casey built a 6-1 lead in game one against Ni Churraoin, but quickly saw her lead evaporate when CNC caught fire. CNC landed kills from everywhere on the court, taking an 11-6 lead and holding off a late Casey rally to win her second game off Casey in their rivalry. 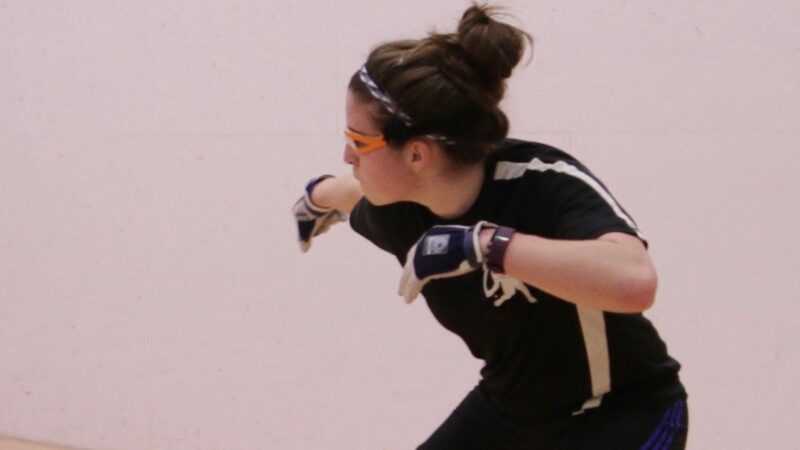 Poised and confident, Casey completely dominated the next two games, outscoring her compatriot 30-6 to make her fourth straight NYAC WR48 final. 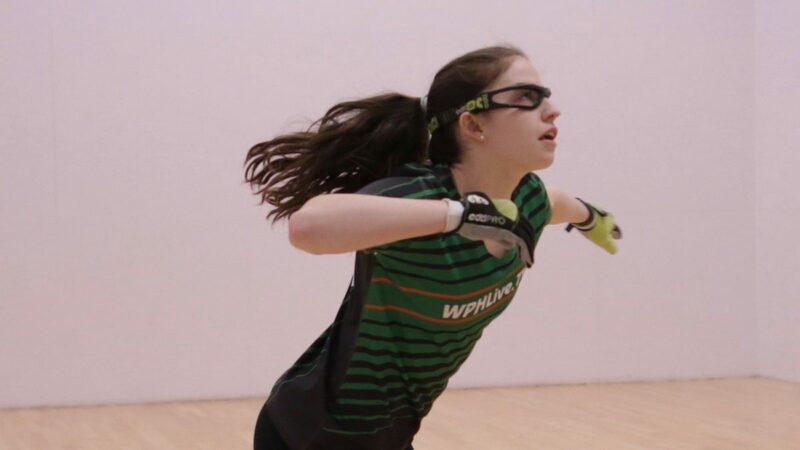 Watch Sunday’s R48 and WR48 playoff and finals from the NYAC live on the ESPN App starting at 10 am est here, as the WPH continues its electrifying handball coverage for the third consecutive season on the Worldwide Leader in Sports. New York, NY, WPH Press, 3/24/17- The top R48 and WR48 stars kicked off their quests for Race 4 Eight NYAC crystal on Friday, with the game’s best seeking to make it big in the Big Apple. 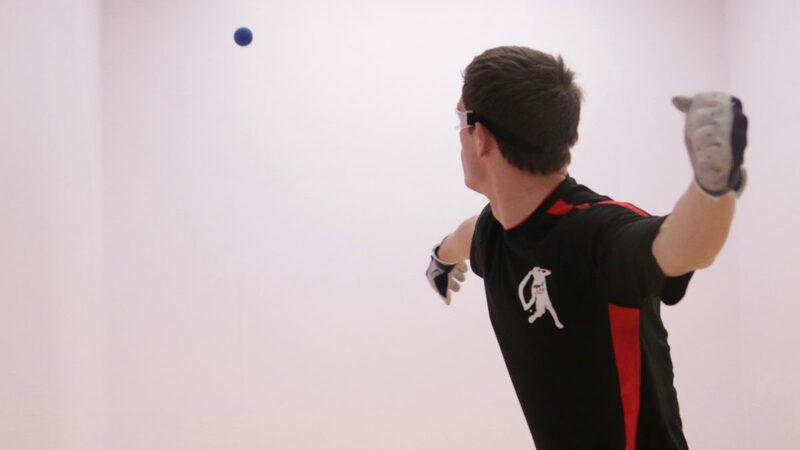 Paul Brady fell behind 0-4 against a crisp and motivated Emmett Peixoto in the day’s second match but quickly found the form that has arguably made him the greatest handball player of all time. Brady’s sensational power, movement, offense, and defense were on full display against one of the world’s best, with Brady scoring 15 of the final 18 points of game one and building a 12-4 lead in game two. Brady cruised to the finish line in his first start of the R48 season. Luis Cordova has long been tabbed as the next superstar in the sport and proved why with one of the season’s best matches on Friday. 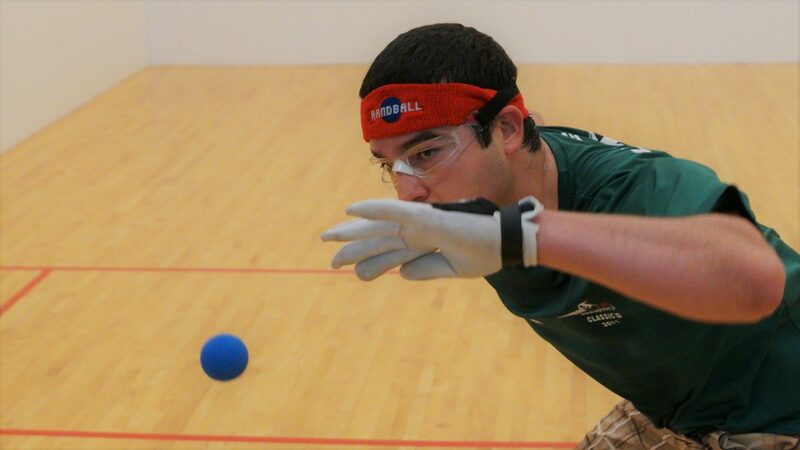 Playing the current Simple Green U.S. Open champion and three-time R48 champion Robbie McCarthy, Cordova dominated the action in game one after a slow start, rallying from a 3-9 deficit in game one to score 12 straight points to take a one-game lead. McCarthy asserted himself in game two, running away with the game in just 16 minutes to force a third. Cordova was refreshed in the tiebreaker, making incredible retrieves and kills to serve for the math at 14-7. McCarthy would not make it easy, chipping away at Cordova’s lead and staving off six match points to arrive at 13-14. Cordova snuck in to take a McCarthy second serve z serve out of the air for a kill and won the match on his seventh match point with a flat kill on the 13th shot of the rally for one of the biggest wins of his R48 career. Wow! Daniel Cordova faced fellow Lake Forest College alum Jonathan Iglesias in a battle of top 14 R48 stars in the fourth match of the day. 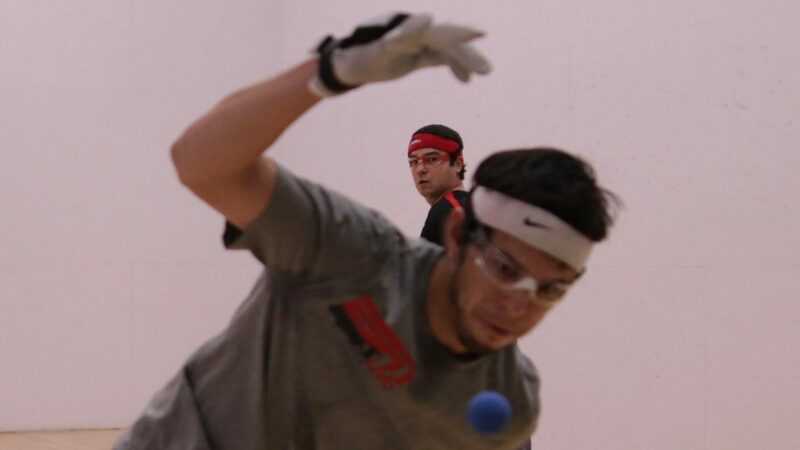 Iglesias entered the match with a 2-0 lifetime record against Cordova, but Cordova was determined to turn the tables. Cordova survived game one but was quickly pushed to a third game by a surging and inspired Iglesias. Both guys were all over the court in the third, with rallies averaging 14 shots. Cordova was able to win the majority of the long rallies and ultimately the match in one of the tour’s best rivalries. 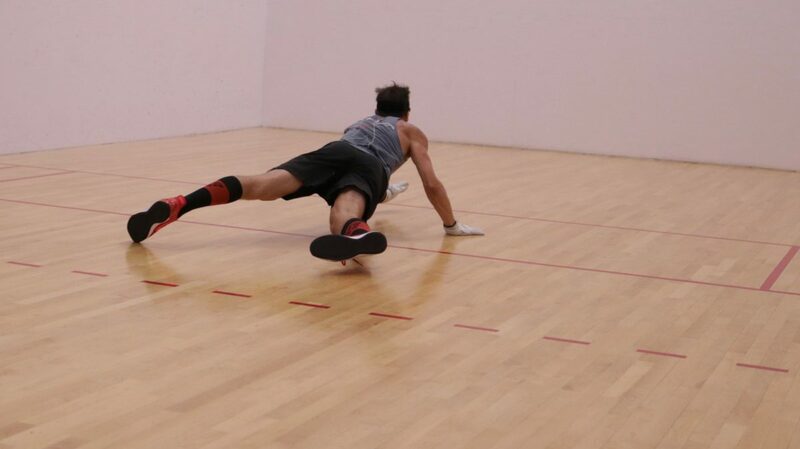 “Jon was just getting to everything and making incredible shots,” stated Cordova. Luis Moreno was too strong and too powerful for Chicago’s Dave Munson, overpowering the Windy City Sharpshooter #WCS in two games. 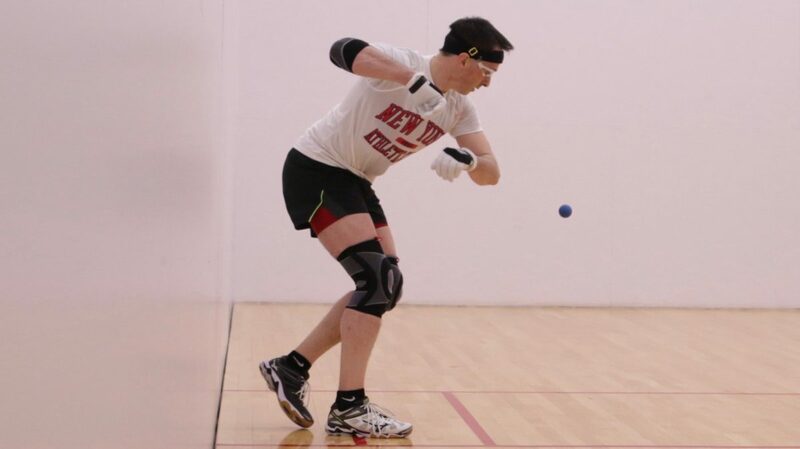 In a rematch of last year’s NYAC round of 16 match won by Schneider, Lenning exacted revenge on his New York rival with just his right arm, decimating Schneider with a serve and shoot game. 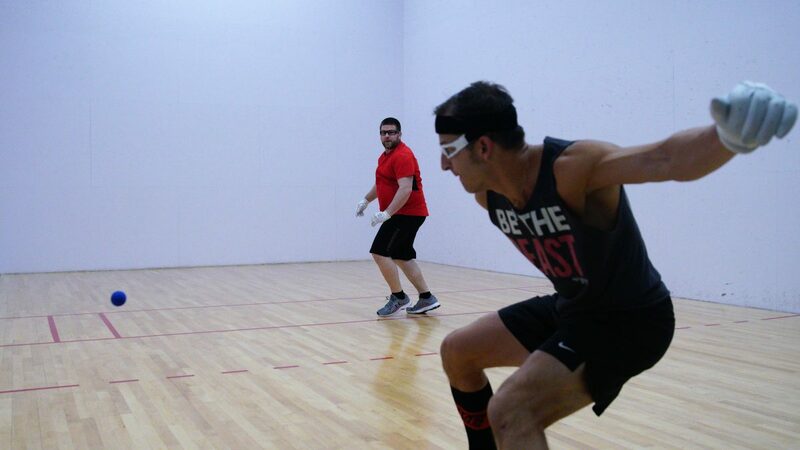 “His serves were just too good and I really couldn’t play any defense to keep him from making big runs,” stated Schneider. 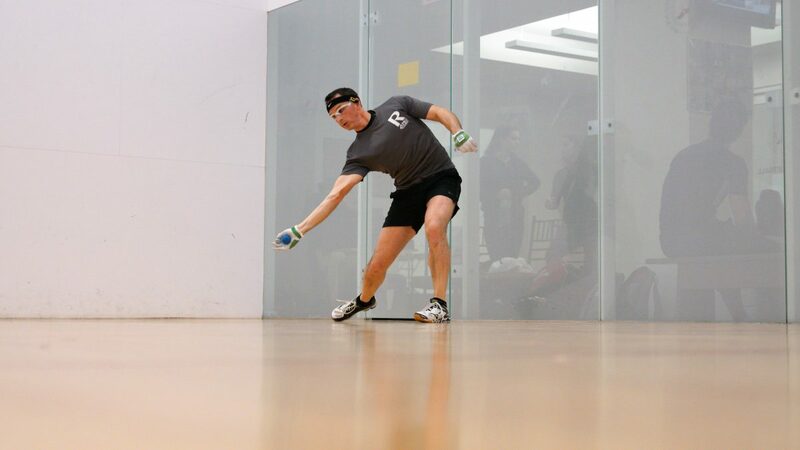 David Fink trailed Billy O’Donnell 1-6 to start their round of 16 match before working his way into the first game, eventually tying the game at seven and coasting in two games from there. 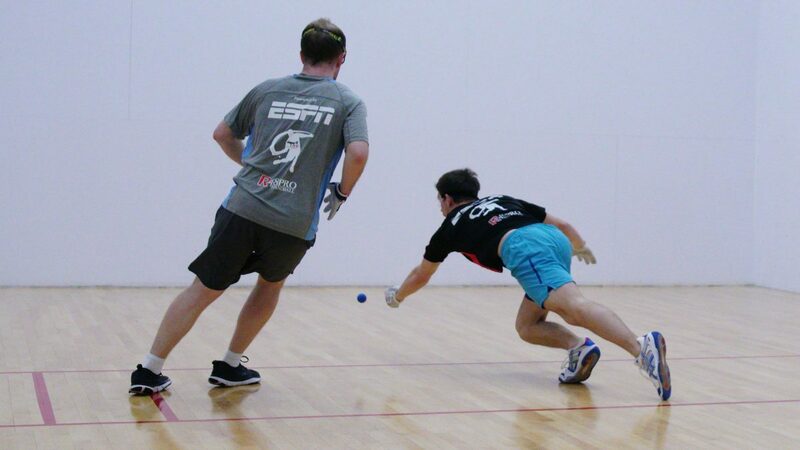 Killian Carroll was sharp in his match up with his Irish compatriot Stephen Cooney in the final round of 16 match of the day, advancing in two games. 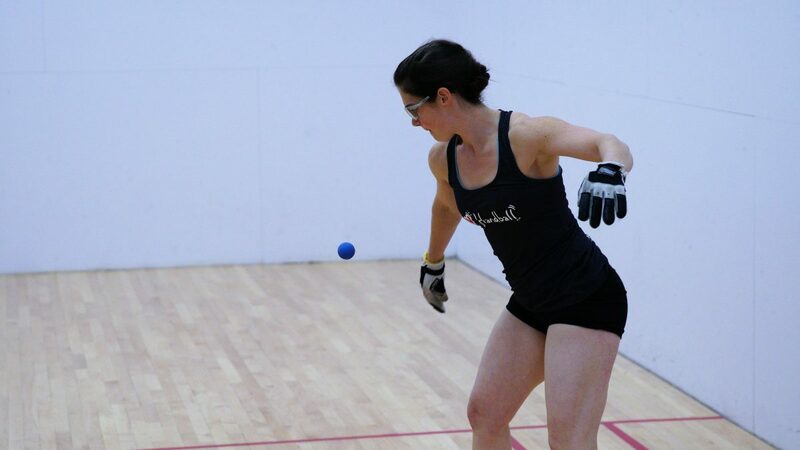 Suzanne Koehler won the first WR48 match of 2017, defeating Canada’s Leslie Amminson in two entertaining games. 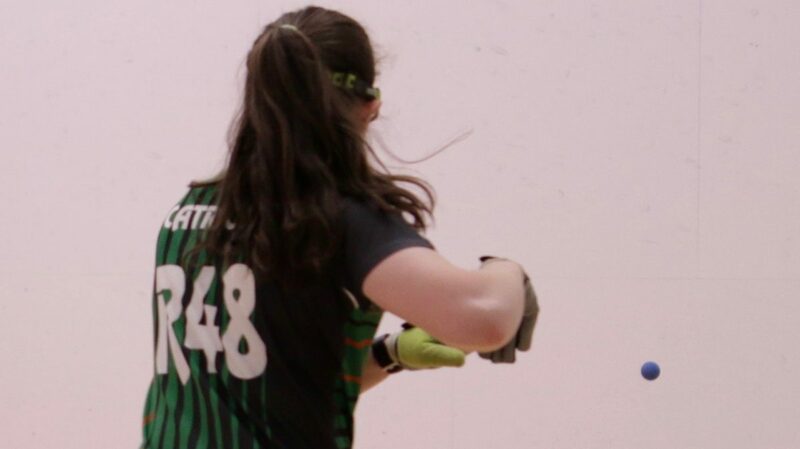 WR48 newcomer Aimee Ulbert played like a seasoned veteran in her first WR48 match in taking down WR48 #8 Aoife McCarthy in two games, while Tucson’s Ashley Moler was in charge against New York’s Shirley Chen, winning in two games. 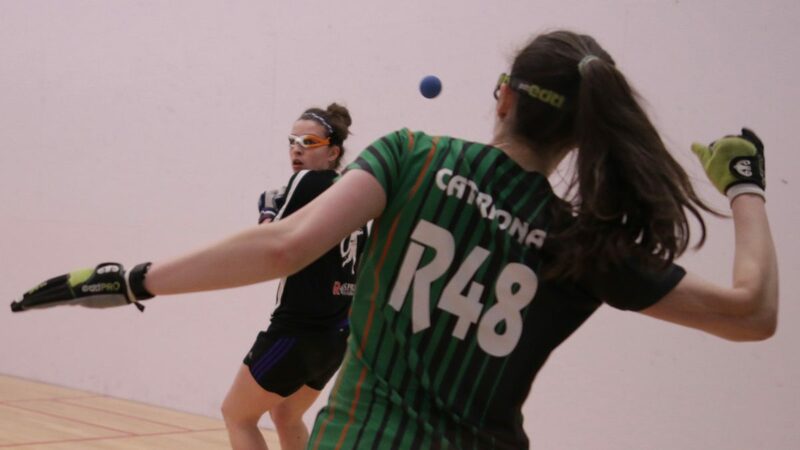 Top seeded Irish superstars dominated their American counterparts in the round of 8, with Catriona Casey and Martina McMahon outscoring their opponents by a combined 60-3 in four games. Ciana Ni Churraoin was pushed by Chicago’s talented Hilary Rushe, needed her full arsenal of power and kills to overcome Rushe. The women’s match of the day was a rematch between Tracy Davis and Aimee Ulbert from the 2017 Plummer Bash women’s pro singles, won by Davis in a sensational tiebreaker. The Ulbert/Davis NYAC match would be even more epic, with two of the fittest athletes in the sport pushing one another to the limit in the closest match of the day. The pair split the first two games, with Ulbert earning just one more combined point in 90 minutes of play. The margins in the tiebreaker were equally thin, as both ladies were diving on the floor multiple times in the same rally. 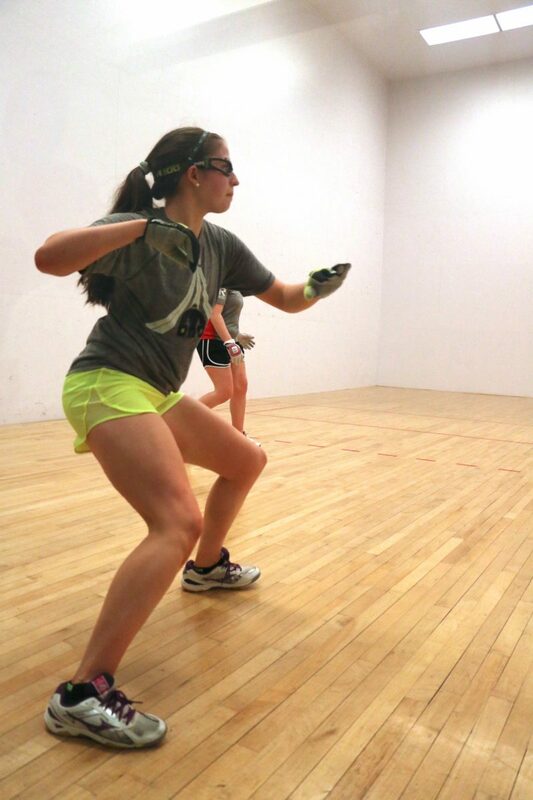 Ulbert would emerge and keep her WR48 undefeated record intact (2-0) to advance to Saturday’s semifinal. 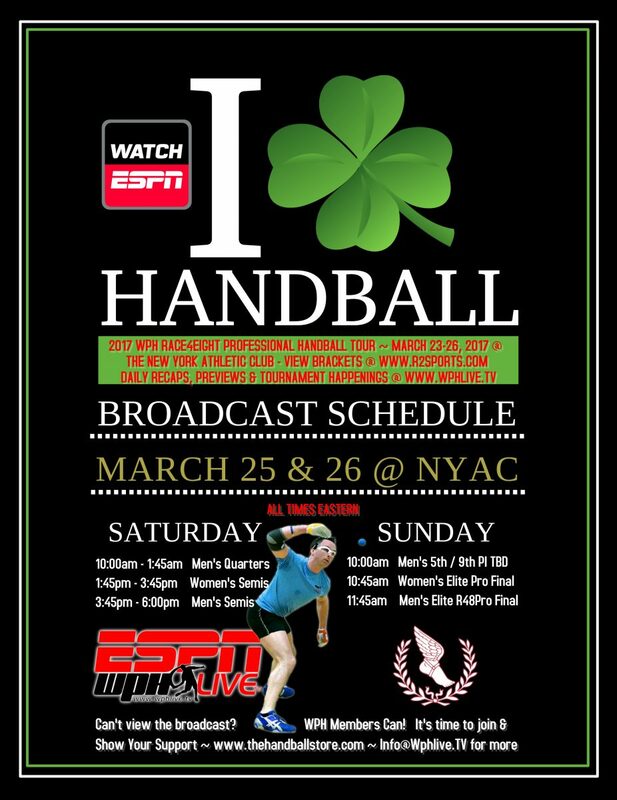 Watch Saturday’s matches from the NYAC live on the ESPN App starting at 10 am est (here), as the WPH continues its electrifying handball coverage for the third consecutive season on the Worldwide Leader in Sports. New York, NY, WPH Press, 3/23/17- Thursday featured the strongest qualifier field in R48 history, with 16 R48 titles counted amongst two of the top qualifiers. 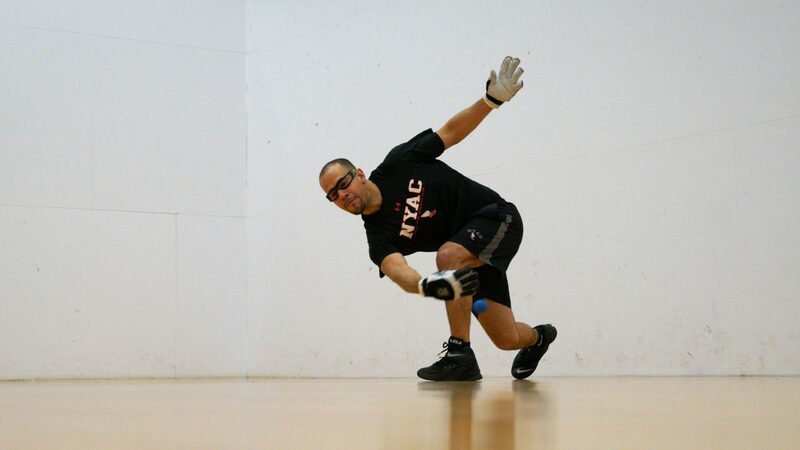 NYAC team member and 5-time defending world champion, 10-time national champion, three-time defending NYAC R48 champion, and 13-time R48 champion Paul Brady (IRE) made his first R48 start in 10 months, announcing a return to competitive handball that appeared to be in doubt just weeks ago. 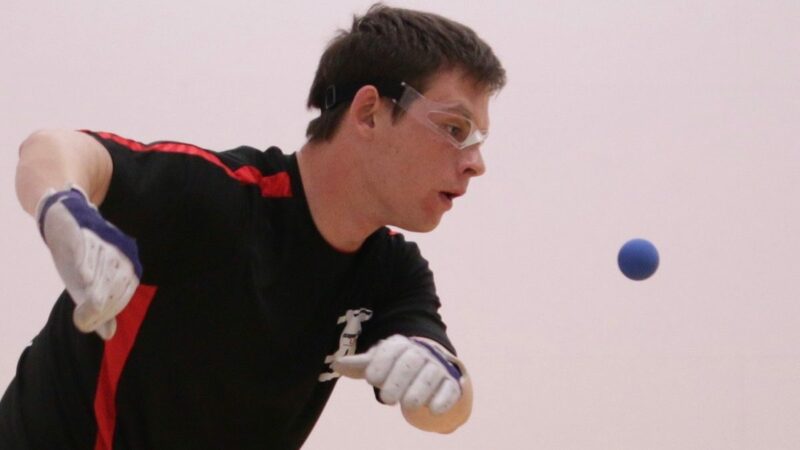 Three-time Race 4 Eight champion and current Simple Green U.S. Open champion Robbie McCarthy (IRE) joined Brady in the qualifier field, seeking his first R48 title at the NYAC. New York City stars Mike Schneider and Billy O’Donnell joined Brady and McCarthy as four of the 11 current or former R48 stars in the NYAC qualifier. Always one of the most exciting qualifier draws of the year, this year’s NYAC qualifier did not disappoint, producing several overtime matches and high drama throughout the day. 13-time R48 champion Paul Brady made his first appearance in a R48 qualifier and cruised, outscoring his two opponents by a combined score of 50-11. Current Simple Green U.S. Open champion Robbie McCarthy also cruised, needing just 16 minutes to qualify against Chicago’s Carlos Lemus. 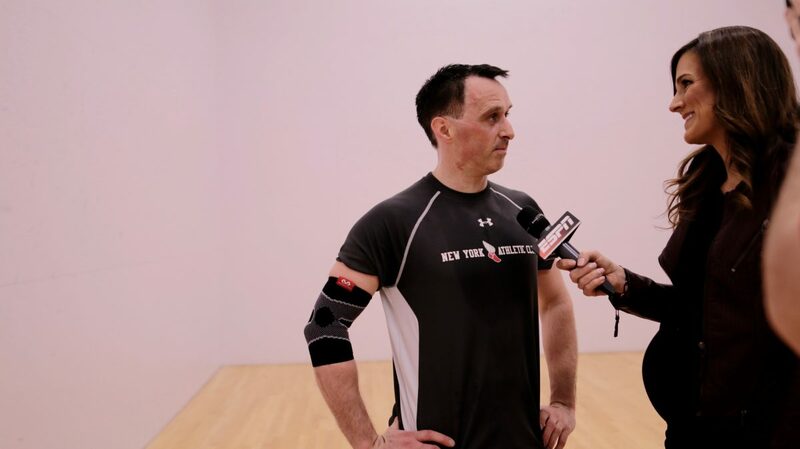 New York City superstars Mike Schneider and Billy O’Donnell defended their home court against talented young Irishman, with last year’s NYAC 6th place finisher Mike Schneider playing spectacularly against Shane O’Neill and Billy O’Donnell playing equally impressively in defeating Sean Kerr. 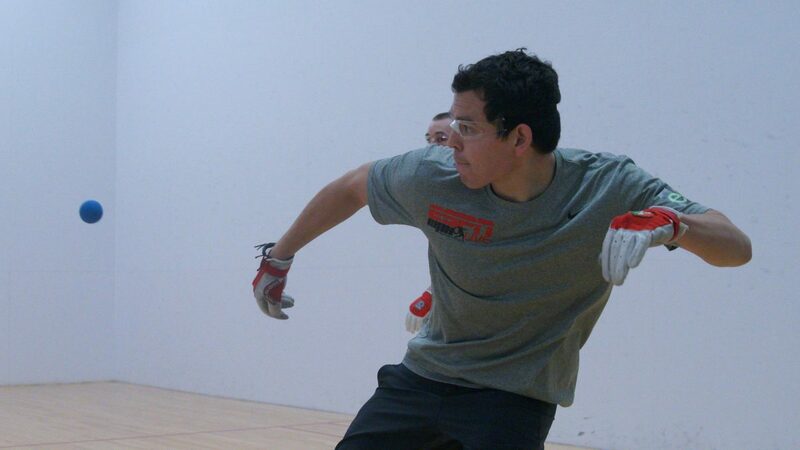 Jon Iglesias played flawlessly in defeating current 17-and-under national champion Michael Gaulton, while former Elite 8 invite Stephen Cooney survived a close match against frequent sparring partner and rapidly improving Matt Chu. 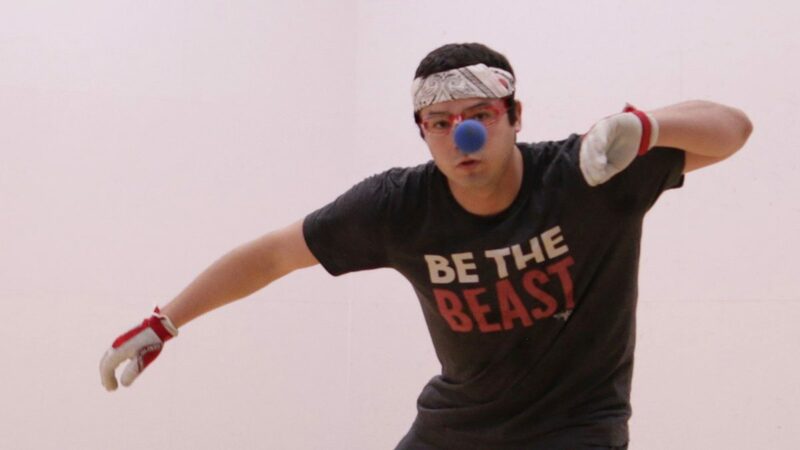 Dave Munson entered the NYAC qualifier having not qualified in 14 months and faced four-time R48 6 qualifier Shorty Ruiz. Munson was hot from the start of the highly anticipated clash, building a 15-5 halftime lead with bottom-board kills with both hands from virtually every spot on the court. 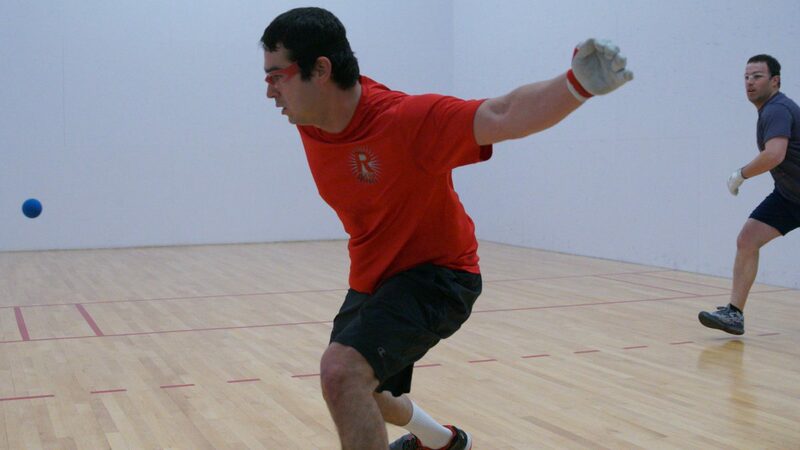 Munson continued to shoot in the second half, eliminating Ruiz in a statement match. 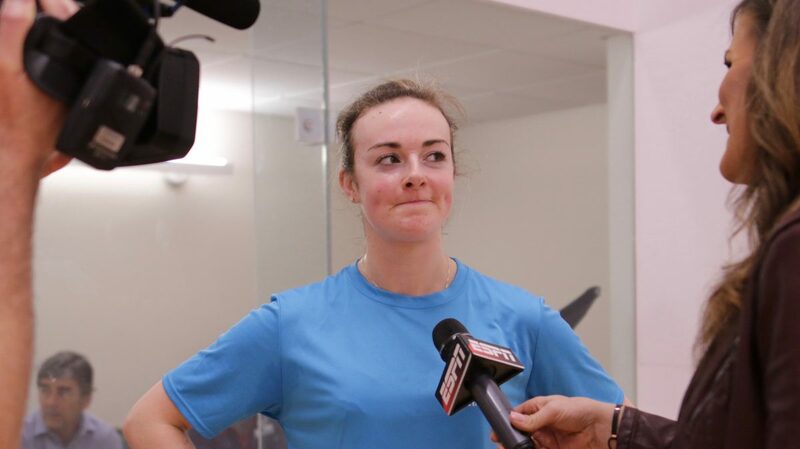 The match of the day pitted 43-year old R48 and SR48 star against 22-year old 2014 USHA junior national champion Gabhain McCrystal. Although separated by 21 years, very little separated Chavez and McCrystal in the court. In a match that had become increasingly chippy with close play and long rallies, Chavez led 23-21 and seemed to be on the verge of moving into the main draw. McCrystal hit a z serve return that hit Chavez square in the nose, immediately creating a seemingly endless flow of blood from the R48 veteran. 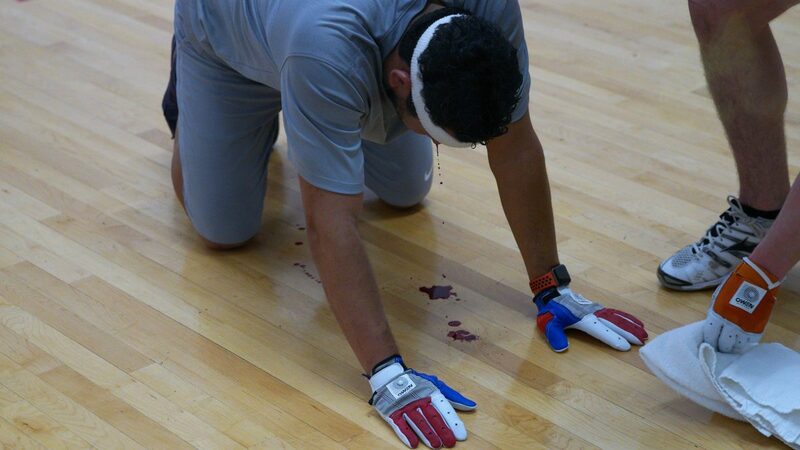 A five-minute break and three blood-soaked towels later, Chavez stuffed gauze into both nostrils to stop the bleeding. Chavez earned the 24th point on a serve and first-strike kill, but was unable to close out the match with three setups in the next rally. McCrystal cut the lead to one at 23-24, but was unable to force overtime, as Chavez closed the door with two consecutive kills. Watch Friday’s matches live on Facebook!